What a lovely treat to watch Chinese Grand Prix in Shanghai on a fine weekend, thanks to Hubby. We’ve got an awesome seats right in front of the pit stops, plenty of action all day long. 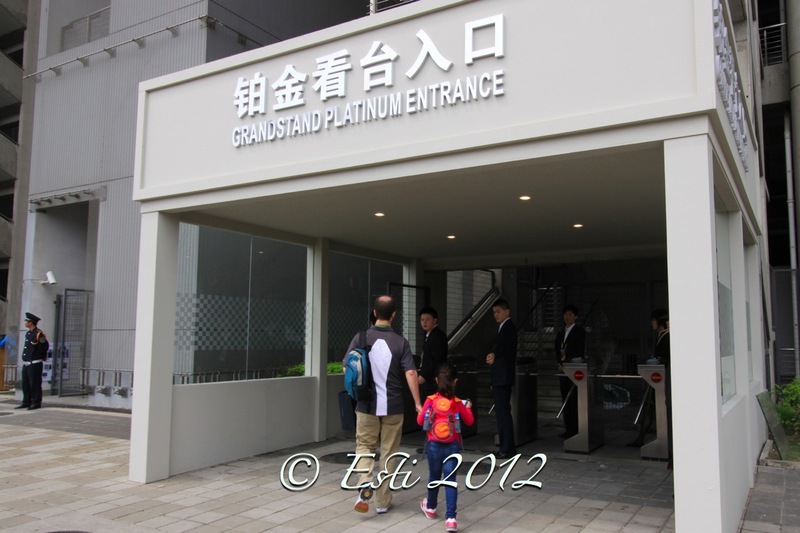 It was my first time watching Grand Prix in a circuit and Little Miss got the privilege to tag along. My first reaction when we were seated; overwhelmed! So much energy around me, the fast car with beautiful design, the loud noise of powerful engine, the smell of burn tyres, the hype of the fans and the fact that all of the famous Formula 1 driver that I only read on world wide web or see on TV is right there in front of my very eyes. The winner of the race was Nico Rosberg from team Mercedez Benz (in white shirt below), runner up was Jenson Button and Lewis Hamilton came the 3rd (both are team McLaren). 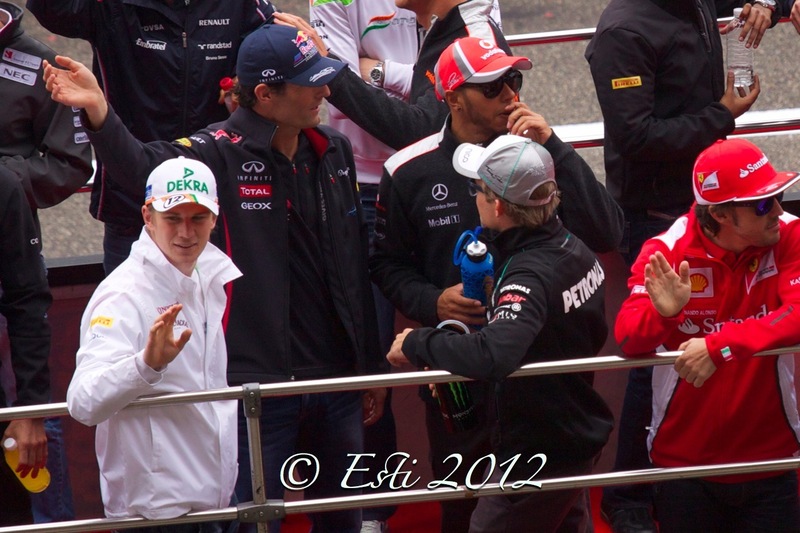 Dear Esti, I am sooooooo jealous that you were able to see all those racers in person….> <……. Big kiss and hug from Bangkok! JIM IS JEALOUS! Especially after he got to drive a Nascar race car in Atlanta’s Nascar race track. Now I find those drivers so very cute.